Dead Gnome Pen Holder. Support for pens unfit for susceptible individuals. Funny and macabre for some others. Support for pens made ? ?in polyresin and shaped gnome. This gnome has been killed by the pens that they nail. 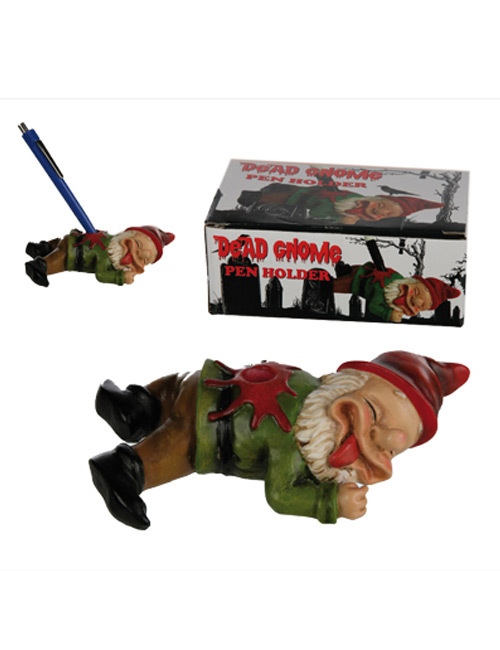 Dead gnome pen holder measures: 13.5 cm.